For their AW17 drop, Cheap Monday looked to Detroit for inspiration. With a desire to demonstrate the changing climates in contemporary fashion, the Swedish label used the bankrupt city’s reboot as a starting point. While Detroit is still a place with open wounds, the city has seen a turnaround in the form of a thriving music scene, influx of artists and an inspiring series of small yet successful local businesses. 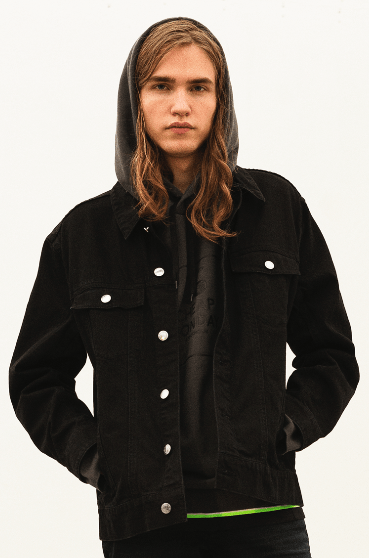 The new line – titled ‘Unliving the Dream’ – sees Cheap Monday placing ideas of uplift, renewal and rebirth at the forefront. Blacks, greys, whites and khakis make up the season’s main palette, complimented by explosions of neon green and pink. The drop also features extra-large skull logos, graffiti-style hearts and over sized credit card features. Shop the collection from mid-August here.